Alison Shaw from Scottish Disability Sport is looking for feedback on a possible initiative…. • The organisation running the activities is in a position to offer regular, enjoyable, inclusive/adapted activities and a positive environment for those with physical/sensory/learning disabilities (understandably, some sports won’t be able to cater for all groups). If your club/organisation is not in a position to cater for people with disabilities yet, please let me know and I’ll do my best to support the club and coaches with this. Where multiple Clubs/organisations are offering a particular sport, I would propose that we offer a ‘Sport of the Month’ and that multiple taster sessions/open days are offered throughout that month at the different sites/Clubs. This would enable us to ensure that people from all over Grampian are able to access opportunities. The sports that I’m hoping to feature are: Kayak/Canoe; Indoor Bowling; Martial Arts; Athletics; Lawn Bowls; Curling; Shooting; Tennis; Boccia; and Archery (although any other suggestions would be most welcome). If the majority of clubs/organisation feel that this would be beneficial, I can draft up a generic ‘Club/Sport of the Month’ poster which will eventually contain details of the session/s (day, time, venue, target groups, what to expect etc), pictures, booking instructions and our logos. This would then be circulated throughout social media, mailing lists, on the Scottish Disability Sport & Grampian Disability Sport website, schools/further education/higher education establishments, physiotherapists/occupational therapists, local authorities & across the various disability support organisations within Grampian. I’d also hope for the initiative to be featured in the local press! Hope this all makes sense – just let me know if you have any queries at all & we can discuss in more detail if this is something you’d be interested in. 10K & Children’s Race Entries Open Online! At our recent AGM, it was time for me (Grant) to step down as chair of the Sports Hub. This is in-line with the 3-year term for the position of Chairperson. We did not have anyone volunteer to stand as Chairperson in their own right, but Sean Boyd has offered to co-chair if someone else was to come forward to share responsibilities. This position was not filled on the night, and therefore, we are requesting your help… could you be our co-chair? 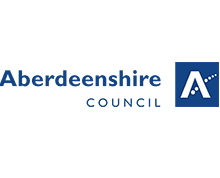 The responsibilities of the Chair are representing the organisation, working with Aberdeenshire Council and staff to further the aims of the hub, attending meetings with other hub chairs, chairing our meetings, and working with the treasurer to ensure we meet the responsibilities within our constitution. 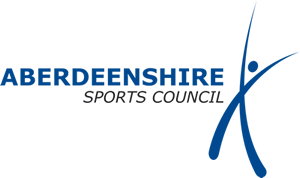 There is support for this, both in terms of internally as Grant has agreed to be vice-chair to ensure a smooth handover, and externally from the Sportshub development officer of Aberdeenshire, and from organisations like The Garioch Partnership, so you won’t be alone. Without someone stepping forward, we may be looking at the hub having to fold, which would be a real shame. The Westhill & District Community Sports and Leisure Hub (WDCSH) are organising a club taster event which will take place at the Westhill Gala on 8th June 2019. You are hereby invited to participate by taking a stand at the event and/or giving a performance or demonstration. Participation is FREE and we are hoping to replicate the success of the previous open day held at the Holiday Inn in 2016 which attracted 43 local clubs & organisations and featured a live event programme of demonstrations. The event will be held in a marquee located adjacent to Westhill Academy. If you are unable to attend in person, we plan to have an information desk where your club/organisation literature could be displayed. When responding please advise if you would prefer a space outside the marquee to accommodate a larger display and whether you require a power source or have any other special requirements all of which we will try to accommodate.